Summer is just around the corner and you want to take your lifting to the next level for that extra push towards your dream body. You could try drinking more protein shakes or using heavier weights, but this just isn’t enough. The best way you can improve your lifts is by working smarter not harder. What’s the smartest way to take all your workouts to the next level? With the POWERHANDZ POWERFIT Weighted Gloves. We want everyone to train with purpose and designed these gloves to be the best training gear out there. Built with extra weight and expertly woven together, these gloves are built for athletes by athletes. Our one of a kind product will let you destroy every lift you do and get more from every workout. You can keep doing the same old exercises and lifting the same weights for fixed results or you can take that routine to the next level. Our gloves are designed to not just be worn for workouts but to be a part of them. What do we mean by this? This specialized gear has been painstakingly designed to work with your kinetic chain, the key to all movement. This not only helps enhance your movement but also give your muscles an extra boost when working hard at the gym. One of the best methods of increasing your gains from lifting is to work out with extra weight. That’s why our gloves carry additional weight to help squeeze every ounce out of your lifts. How does the science behind this work exactly? So when your body works out, the muscle will grow by repairing the tears made by stress placed on them. While a lot of the stress comes from the physical weights themselves, items such as clothing and gear also add to the total weight on the body. The extra weight provided by the gloves increases the amount of work your body has to do thus stimulating a cycle of greater growth! You will get more results out of each workout with the added gloves than without them. Lightweight may not feel like much, but it will add up to explosive results over time. Hand strength is an extremely important aspect that many people tend to never consider. You need these muscles for everything from openings a jar in the kitchen to being able to help support yourself when you get off of the floor. On top of these facts, it’s also crucial for all sports. How are you going to be able to make that winning touchdown if you can barely hold onto the ball? Train your hands along with your arms while lifting with the POWERFIT gloves! At POWERHANDZ, you are more than just a customer, you are family. We know you can be a champion and want to help you reach that goal. That’s why we have created the best gear on the planet for training in all sports including basketball, football, baseball, MMA, and fitness. Even if you just want to improve your overall health and wellness, we will help you get to your goal. Let’s start your fitness journey today. 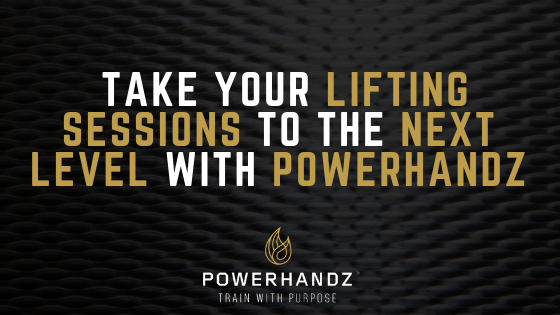 To learn more about POWERHANDZ and how to be a champion, check out our blog.